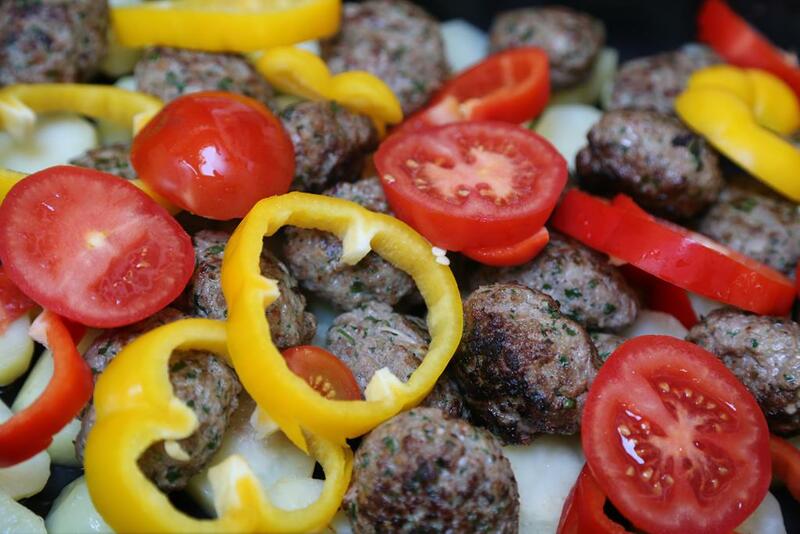 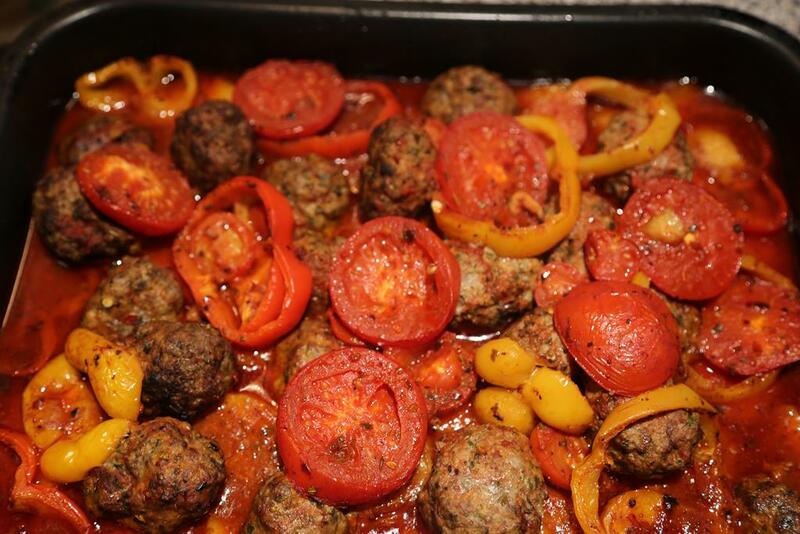 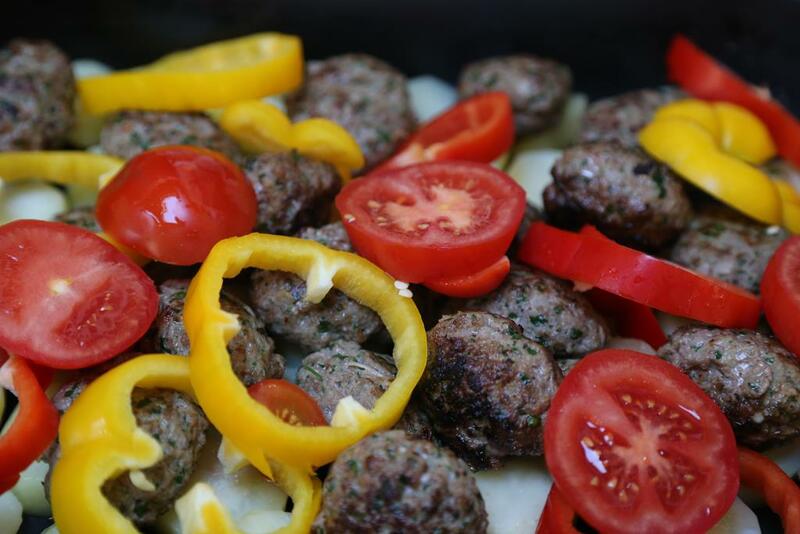 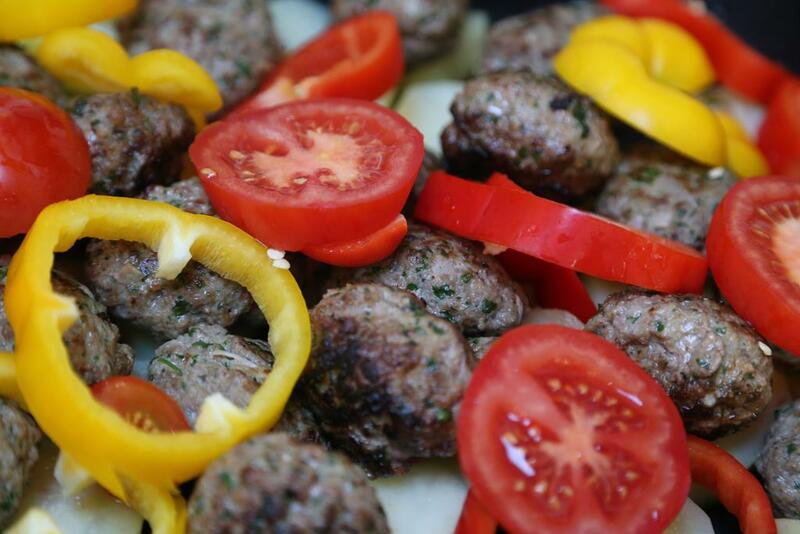 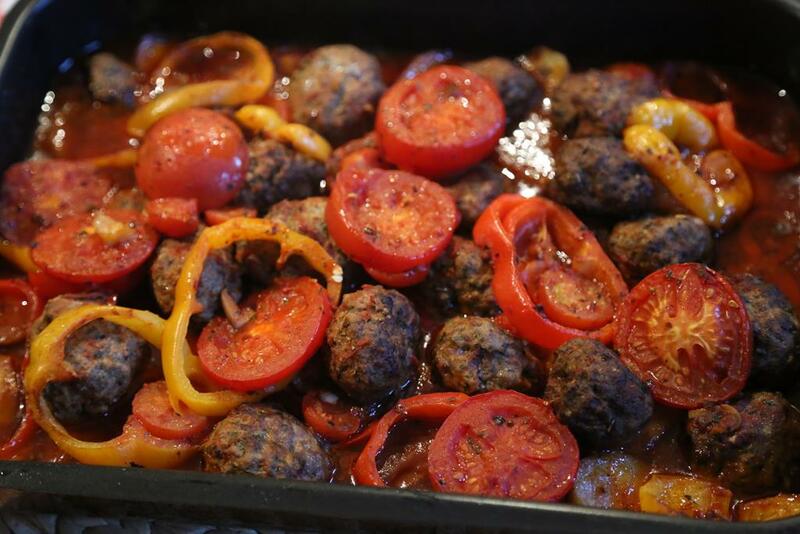 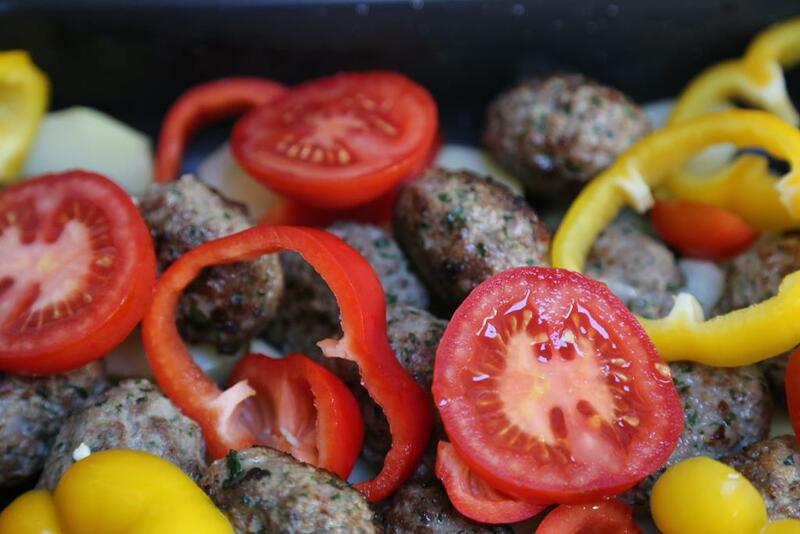 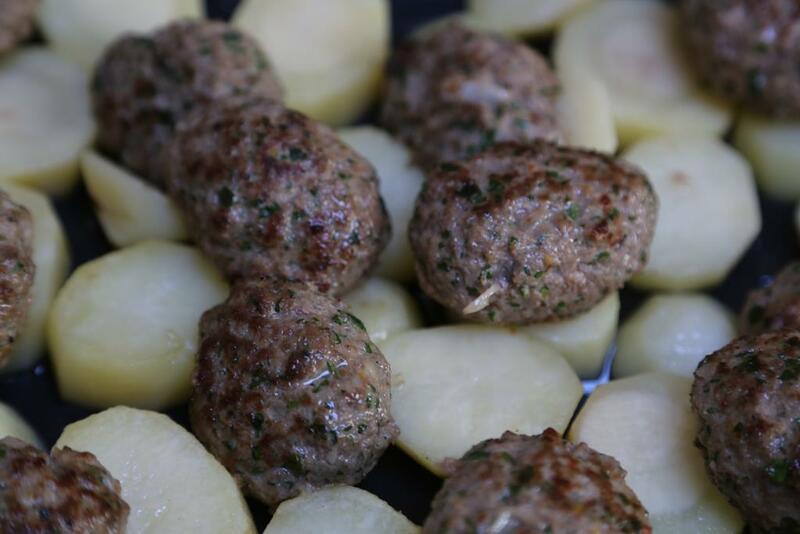 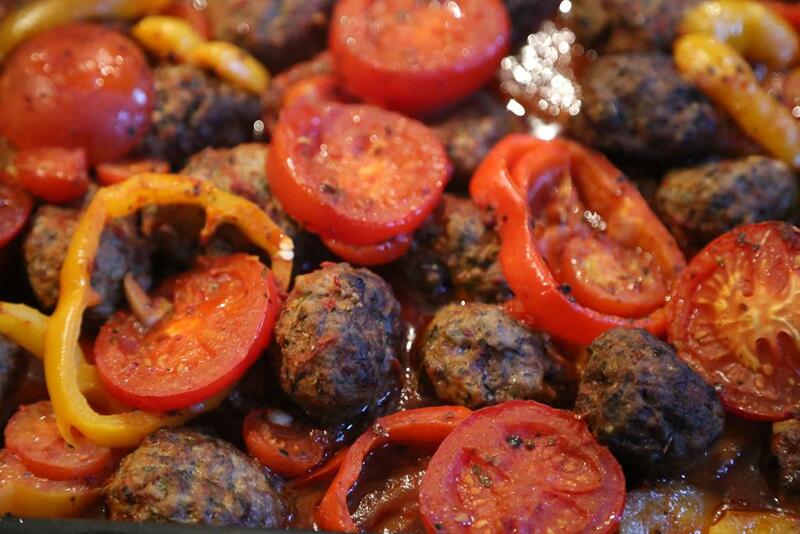 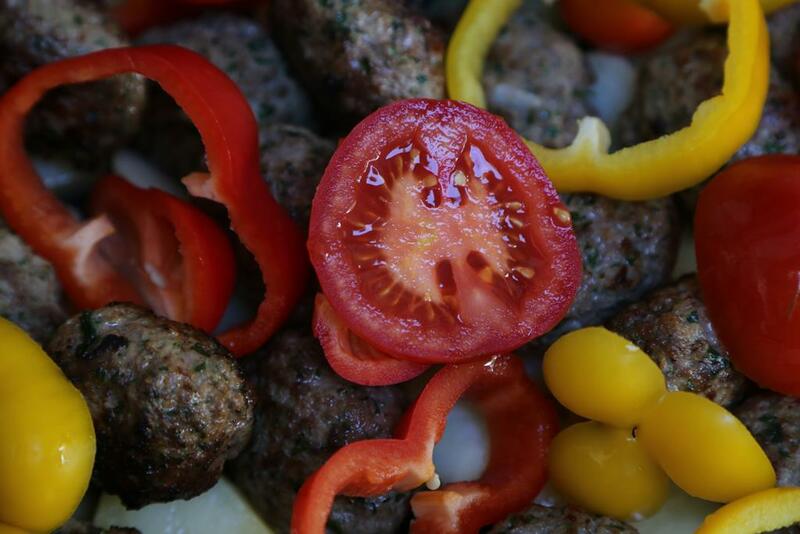 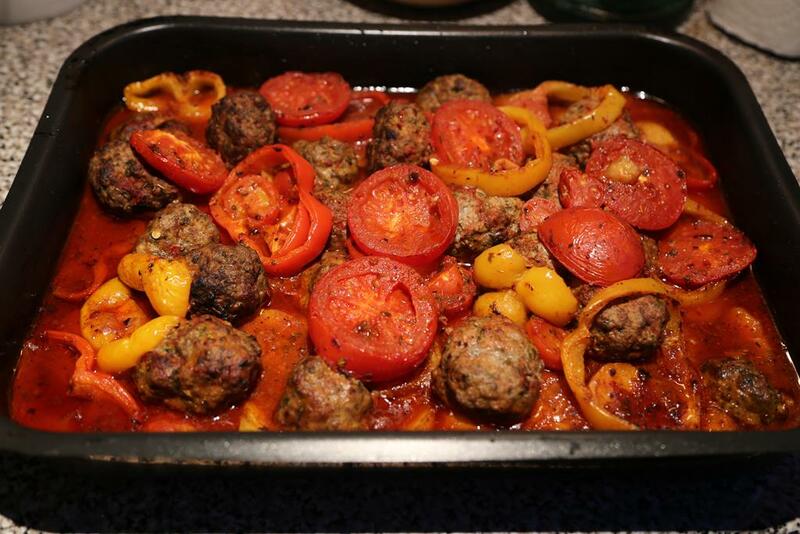 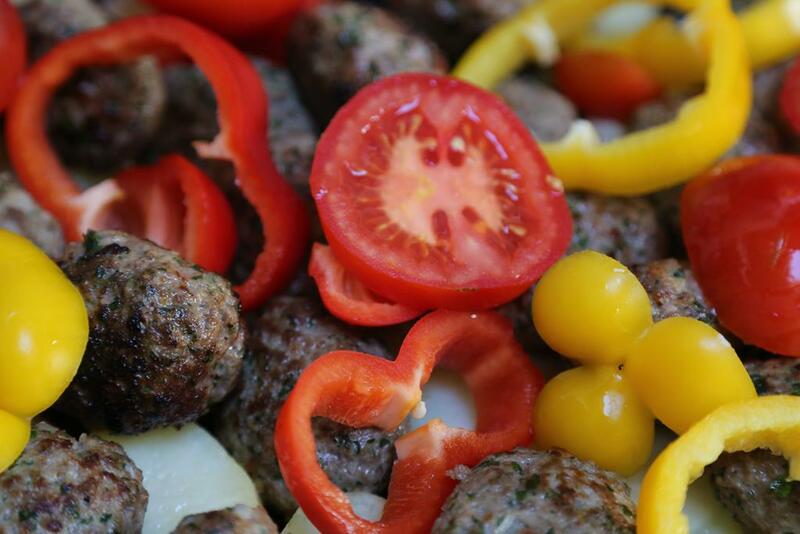 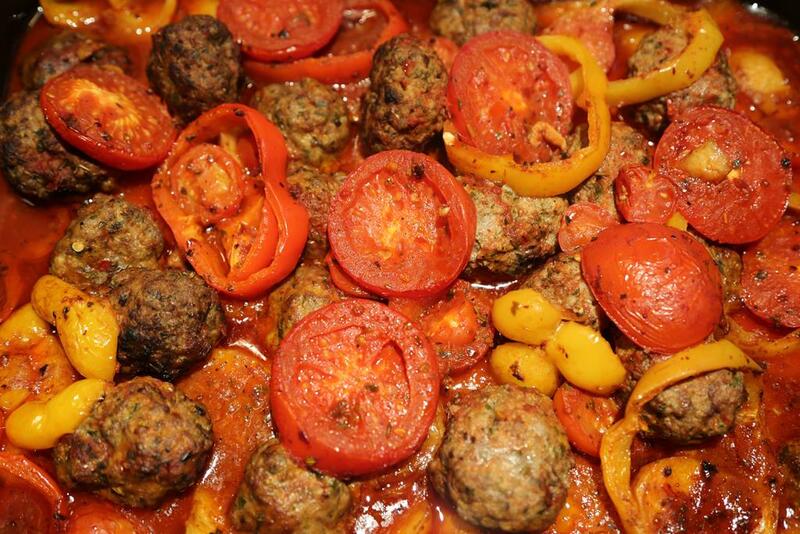 Oven Roasted Meatballs and Potato in rich tomato sauce – Firinda Köfte Patates domates soslu. 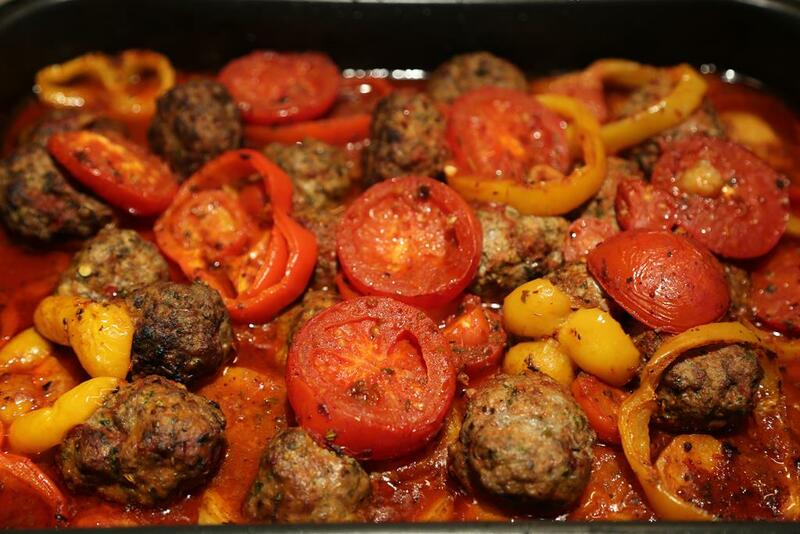 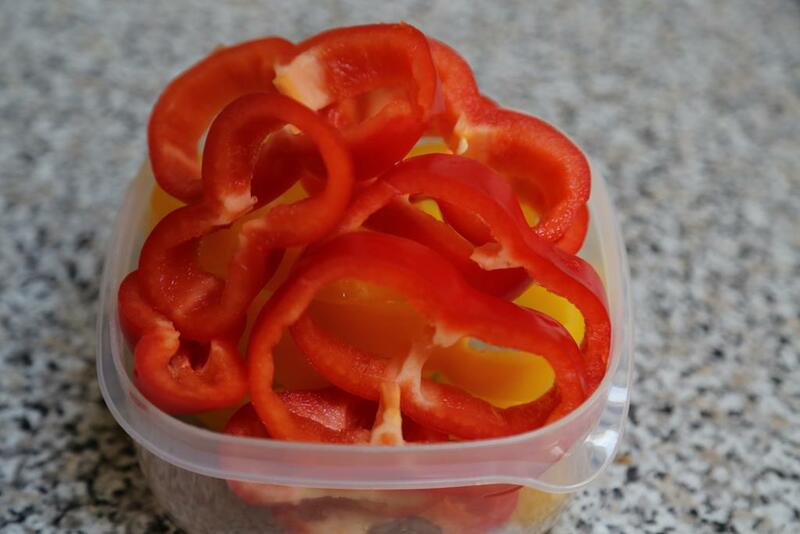 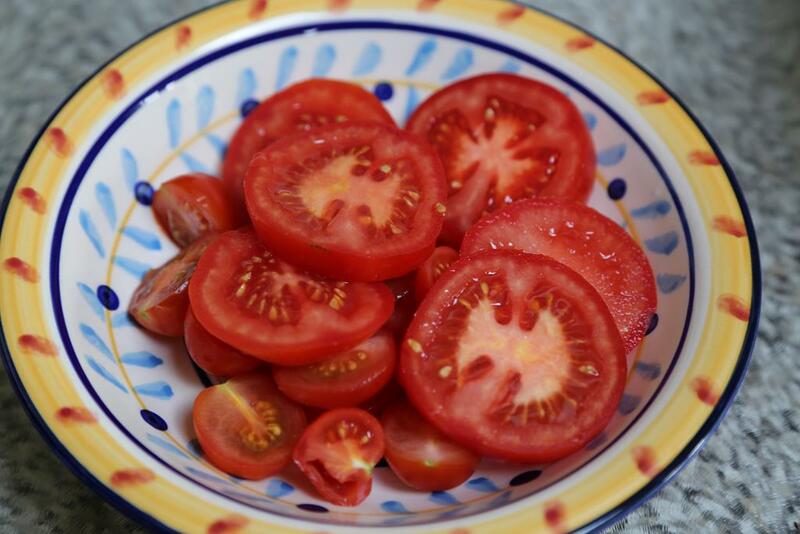 This is the most loved Turkish dish by British holiday makers in 2014 Summer. 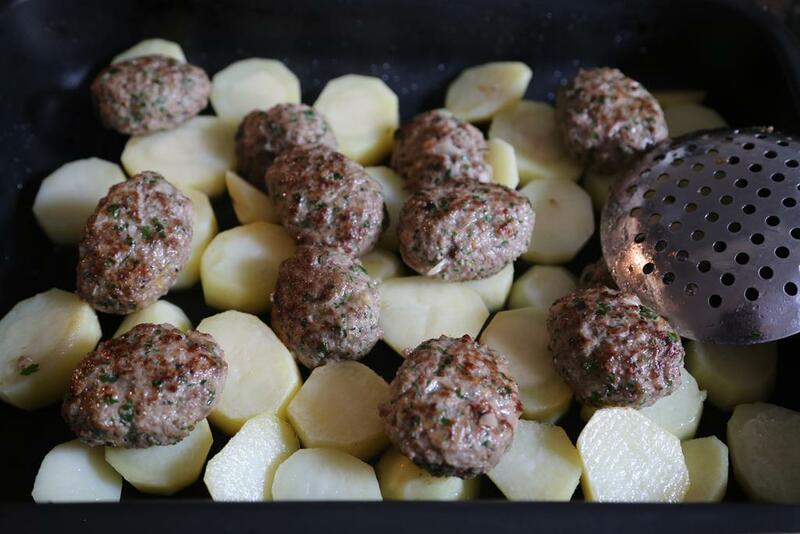 Here is with pictures, step by step how to make oven roasted meatballs and potato in rich tomato sauce. 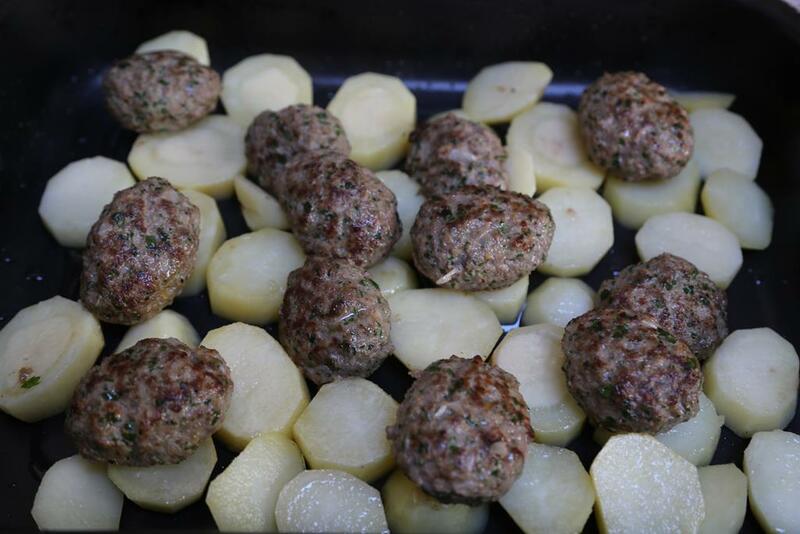 1/2 cups of bread crumbs or slice of steal bread chopped finely in food processor. 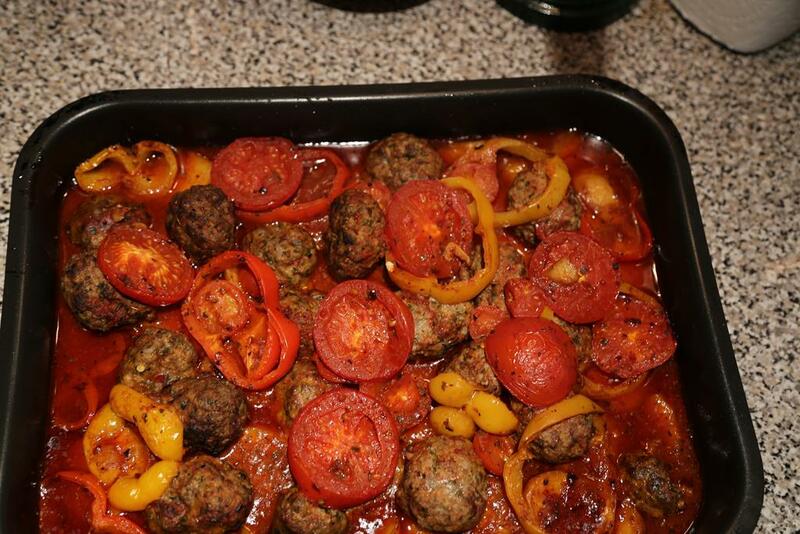 To prepare meatballs. 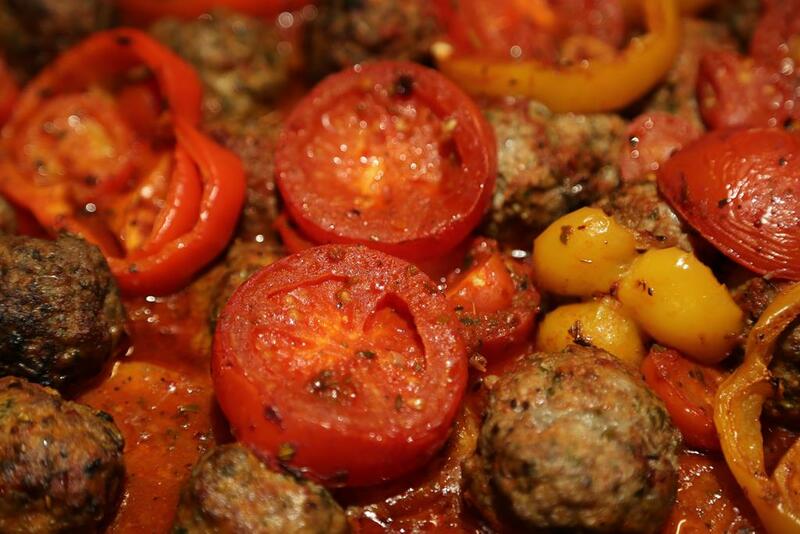 In a large bowl, combine all the meatball ingredients. 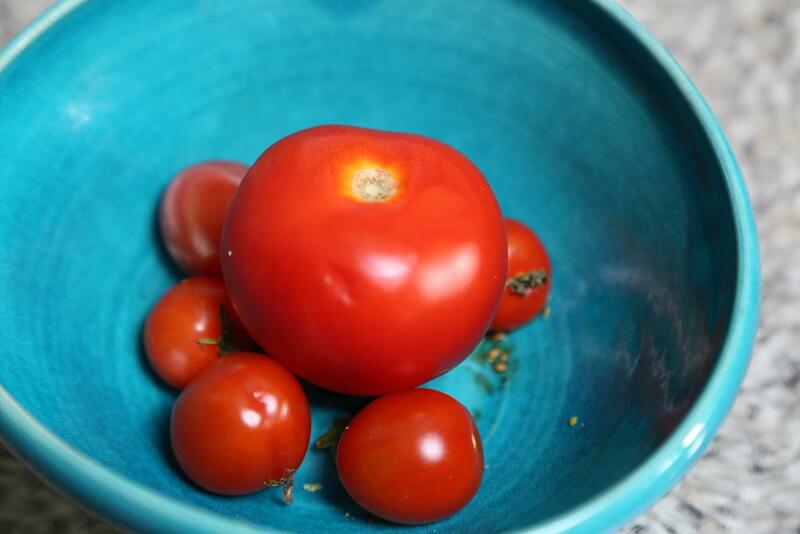 Work gently with hands until mixture holds together. 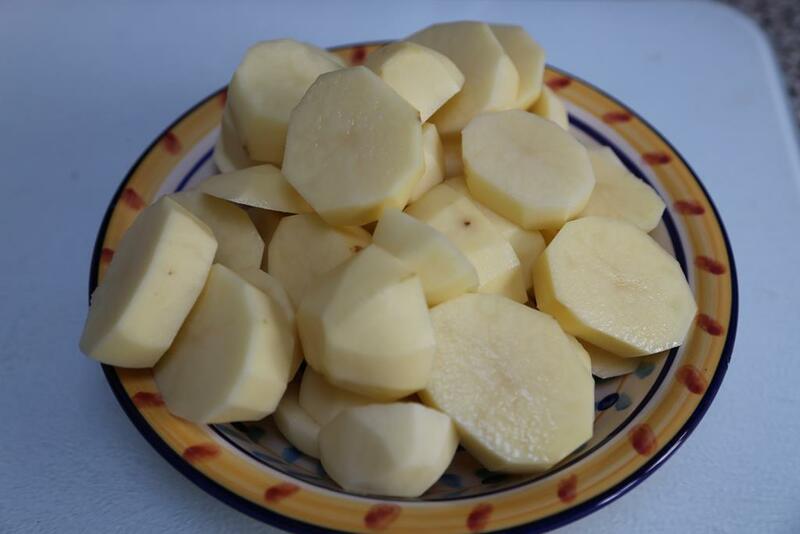 Divide mixture into 16 portions. 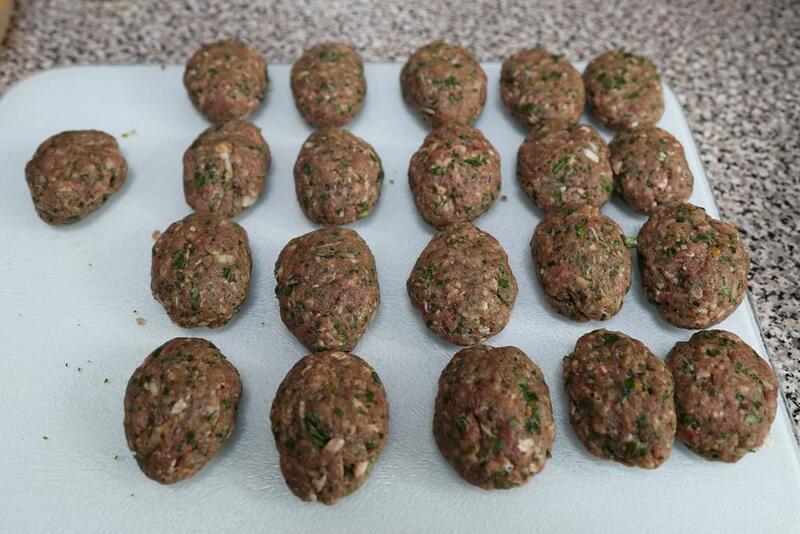 Shaped into flat balls/or fingers. 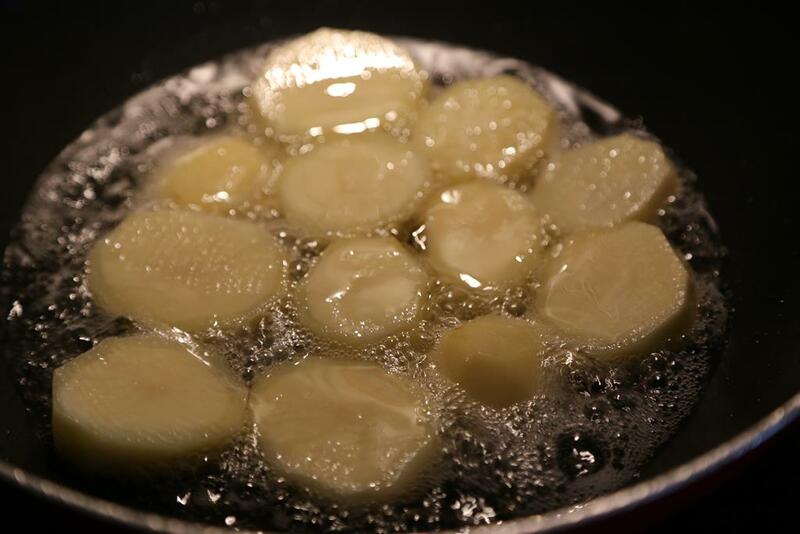 Get a frying pan and fry potatoes slightly first; then set a side. 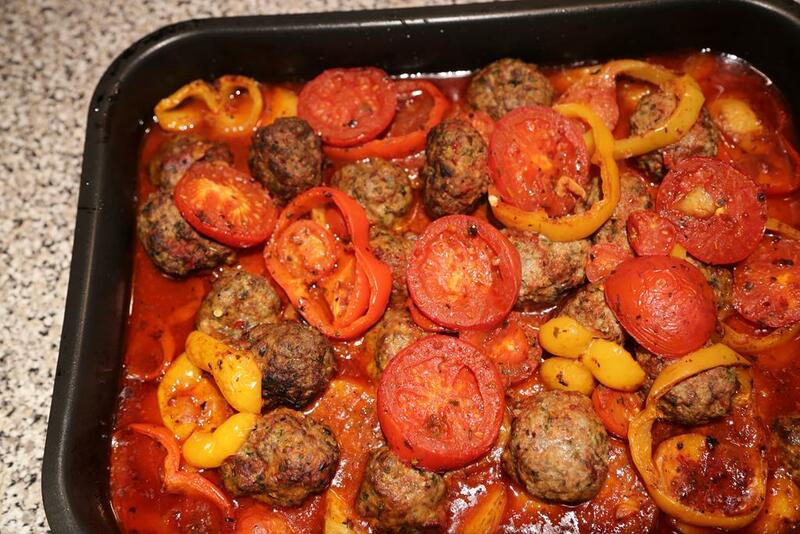 then fry all the meat balls 2 minutes and set a side. 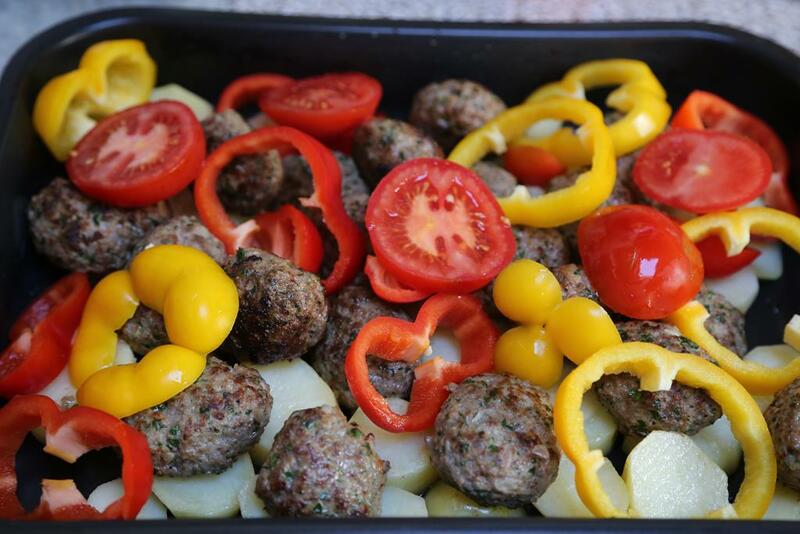 then put all the potatoes in the bottom of the oven tray then lay all the meat balls over potatoes then place the papers between them and then your sliced tomatoes. 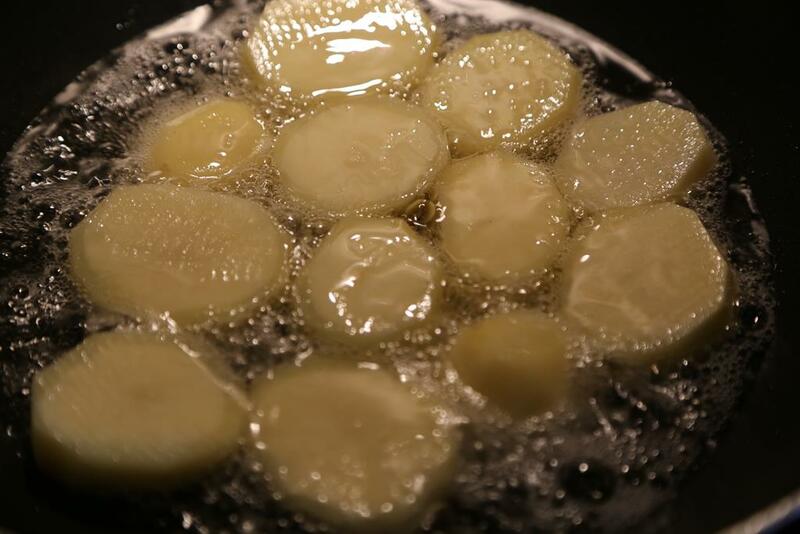 cook it for 45 mins until potatoes are done.